With 7 or 9 custom loops Ledr leather tool roll keeps your accessories organized for easy storage and access. Like the design? Let’s keep checking. The Ledr is a beautifully designed and practical tool roll that comes in two sizes. The Ledr 7 measures 11.5 x 6.2 inches, and the Ledr 9 is 12 x 7.5 inches. As we can see from the images, both models shows off an elegant and minimal appearance design, and both are crafted from full-grain leather for durability, classic and luxurious feel, while the stainless steel hardware not only complements to the stylish look, but also keeps the leather roll closed for security and portability. The Ledr 7 leather tool roll has 5 narrow slots and 2 wide slots, and the Ledr 9 features 5 narrow slots and 4 wide slots. 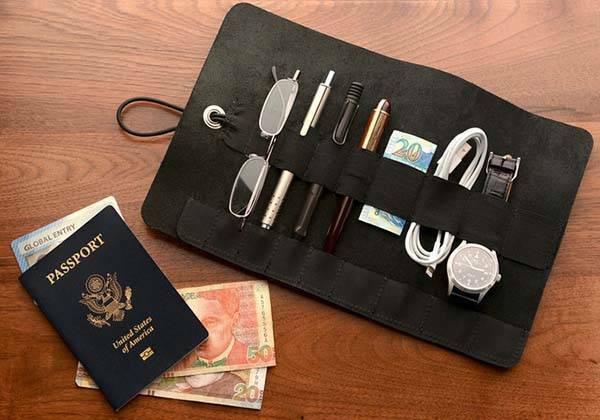 Using the slots, the leather roll is able to hold various tools and accessories like charging cables, pens, earbuds, wrenches, and more. You can choose between the two sizes based on the number of your items. Moreover, each slot features a custom leather bottom pocket in order to safely hold each item in place. The team behind Ledr is raising fund for the product via Kickstarter. 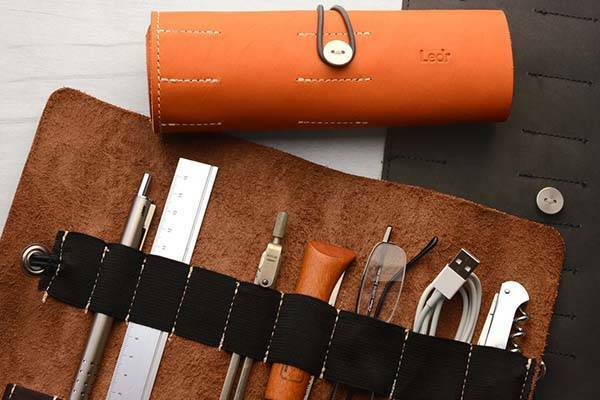 We can pledge $45/$55 to preorder the leather tool roll. Both models will be shipped in May 2018.